Sign up to get our free printable list of teaching techniques! Teachers need to vary question stems to keep the class engaged. The Spirit favors the engaged mind of a learner. This printable shares a long list of question stems any teacher (whether in Church or not) can use to vary the prompts learners are given, helping them to look at material in new ways. 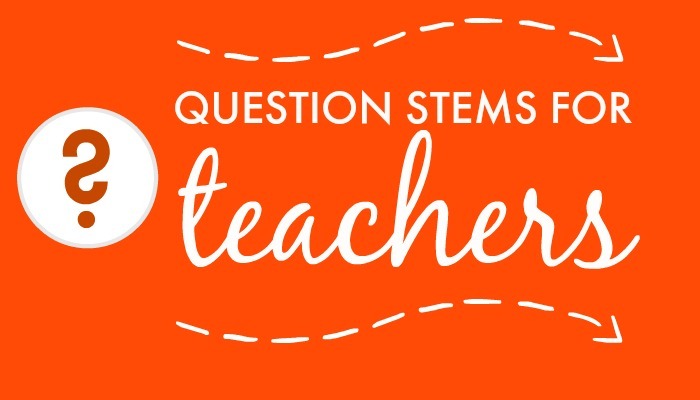 Be sure to look at the question stems as you are preparing your lesson. Both Word and PDF versions are given so you can even copy and paste question stems right into your lesson. If you think of any we missed, please share! Is there anything similar to that going on today? Are there people who act like that today? What does this story (episode) have to do with us in our day? Have you ever had anything like this happen to you? What have our modern-day apostles and prophets said about this kind of thing? Was there anything you heard spoken at the last general conference about this subject? If this ever happened today, what do you think would be the result? What would you think if this had happened to a member of your own family? Are there similar situations in our day? Where? How would the outcome have been different if this had happened just yesterday? Nothing like that would ever in happen in our day, would it? Hello Friend! I'm Lisa, and I serve as the Stake Teaching Improvement Director in the Arlington, Texas Stake. Here I share ideas for teachers, especially those in churches. I hope you 'll find some ideas you can use right away to make your teaching awesome and help people grow in their love of the Savior through a deeper understanding of Him. Thank you so much for visiting! Everything written here is licensed as CC BY-NC-SA. Read more about what that means here and go ahead and share! 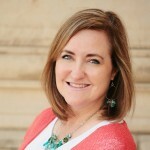 I am a member of the Church of Jesus Christ of Latter-day Saints, and I strive to keep this site completely aligned with the mission and policies of the Church. This site is in no way affiliated with the Church, however, and I imply no endorsement. 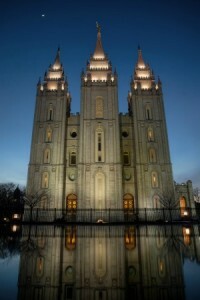 For the official site, please visit lds.org or mormon.org. Comments are welcome. I moderate them to prevent the spread of spam and hate and tangential topics. Any comments with profanity will be deleted. Comments need to be related to what we're talking about and shared in a spirit of good will. Have a point - don't just be a troll - and we'll be fine! Special thanks and gratitude to the talented and generous Tyler Foote who shares his photography at templesbytyler for the use of the images of the LDS temples you see on this site. A special thank you to Dan Darr for designing the site logo. The Federal Trade Commission has rules about websites that you may read here). This site contains no affiliate links and is completely commercial free. It accepts no advertising or sponsored posts.